Your friend does it, your co-worker does it, and you come to find out your boss even does it too. It seems just about everyone has a blog these days. And with approximately 42,000,000 WordPress blogs online, it’s not difficult to find what you’re looking for online in a blog post. You want in, and now it’s your turn to have a successful blog. You’re excited, and you want to do this right. But, how does it all work? How do you generate traffic, build a following of loyal readers, and eventually monetize your blog? Need some help starting your blog? Be sure to check out our complete beginner’s guide to starting a profitable blog. With the excitement of starting a blog, you kick everything else aside – theme layout, plugins, color choice, and branding – and start pumping out blog post after blog post. In no time, you whip up a 2,000-word post on the value of homeschooling. Your next one is an 1,800-word post on tips to gain traction on social media. You’re ready to go. You publish your first post, send it out to social media and then get right back to work on writing more posts. While you know it takes time to get noticed, you realize your blog isn’t getting any engagement or traffic. You have killer content, and you’re sharing it on social media. So what’s missing? No matter how well designed your blog is, or how easy it is to navigate, if you don’t have this one thing, you’ll have a hard time getting traction and engagement. A niche is – in simple terms – the general topic matter that you write about. It’s the passion or main theme of your blog. When you have a niche, all your posts revolve around that main theme, and that’s essentially all you talk about. But, why would anyone do that? Wouldn’t readers get bored reading about the same topic every time? Wouldn’t you get bored writing about the same thing every week? The answer is no. People often find a blog they like because the blog provides specific content on a specific niche. 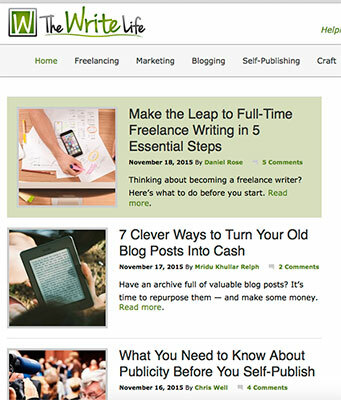 For example, TheWriteLife provides content for freelance writers and authors. Because they stick to focusing only on writers – and not just freelancers in general – they’ve carved out a spot in the writing niche and have become the go-to site for new writers. There are many different kinds of blogs, but most blogs can be broken down into two main categories: niche blogs and general – or multi-topic – blogs. An example of a popular lifestyle blog is PopSugar. You might think having a general blog is better since you’ll be covering a lot of different topics, making it easier to attract a lot of different people. But, according to ShoutMeLoud, a multi-topic blog is bad for SEO, readership, and monetization. Now, bad is a strong word, and PopSugar surely isn’t hurting in any of the above areas, but for the small, less established blogger, properly running a general, multi-topic blog is quite an undertaking. Often you lose focus, blogger’s block creeps in, and any creative juices you once had are zapped dry. You may not realize it but, when you have a niche, you have a lot more tools available to you. Plus, you can look at your content to see which posts are popular and repurpose them or revive them with a fresh new angle. 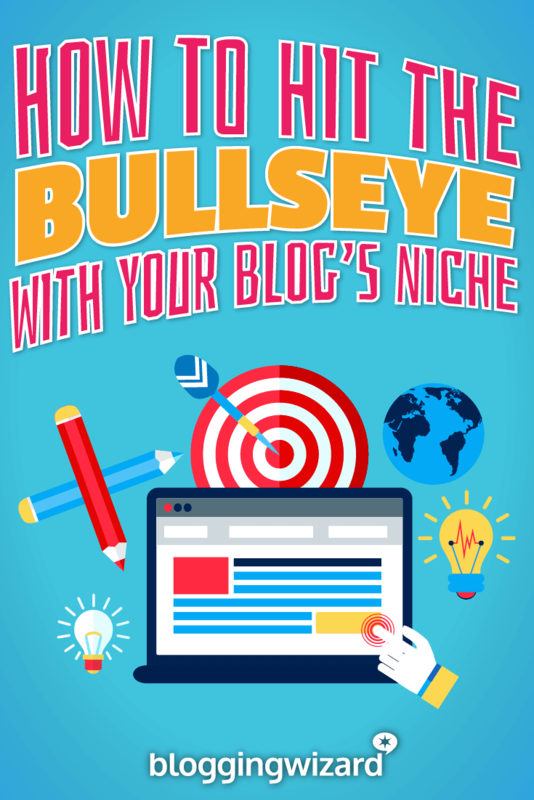 Since you know your niche very well, writing about it should be relatively easy. Most things you write about will probably be original or will be based on your experiences in that niche. Or, you may pick a topic of interest and through blogging, become an expert in that niche. Pretty soon, people will come to your blog to learn valuable tips, tricks, and resources from you. A great example of this is PinchofYum.com. Both Lindsay and her husband Bjork run this highly successful food blog. But, of course, it didn’t start that way. 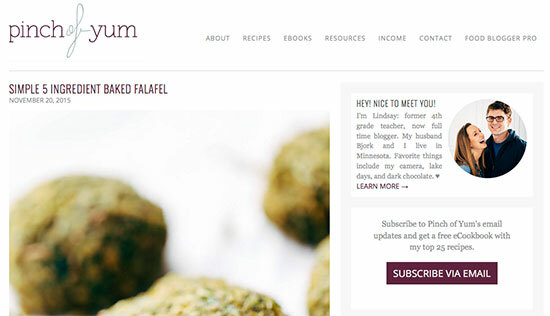 Lindsay was a schoolteacher before she became a food blogger. And when she started, she just posted pictures of the food she created. She taught herself how to take eye-catching pinnable food images and because of her passion for all things food, she’s become an expert in food photography and went on to teach others how to take Pinterest-worthy food photos. People crave quality content and will seek out blogs that meet their needs. Having a niche blog fits nicely with people since you can provide consistent and relatable content to them. They’ll come to know your niche, learn from your experiences and will want your personal take on things. I’m sure when you started your blog you didn’t really think about monetizing it, right? You just wanted a place to share your thoughts or passions. But, then you realized that with a captive audience you could try to see if you could generate some income from your blog. Of course you can always make money from your blog with AdSense and promote affiliate programs. But a great way to maximize success with monetizing your blog is by building an email subscriber list with a lead magnet that ties in perfectly with your target audience. When you can attract your target audience with a strong lead magnet, you can build your email list faster, creating the opportunity for repeat visits and future monetization. To see this in action, let’s look at Matt Becker from Mom and Dad Money. 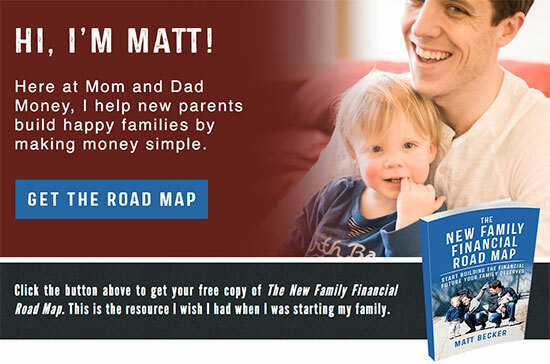 His blog focuses on helping new parents make the best financial decisions simply and easily. When creating his lead magnet, he made sure to make it specific to his target audience of families, instead of being broader and including anyone needing financial advice. For many people, their blog is their guilty pleasure. It’s what they like to do in their free time. For a niche blog to flourish you need to have passion when you write your posts. Week after week; day after day. The life of your blog can be years or even decades long. So you need to ask yourself, can I write about my niche for ten years straight? 2. Am I knowledgeable about the topic? The longevity of your blog depends on your knowledge within your niche. 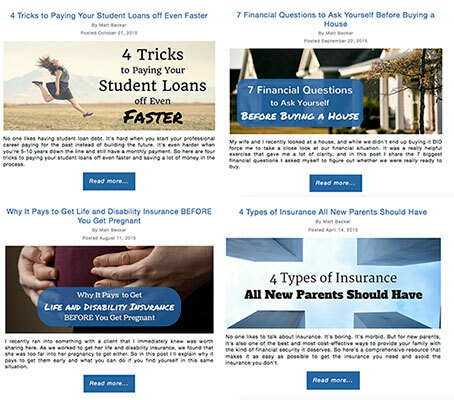 Big powerhouse blogs like Neil Patel’s QuickSprout or Derek Halpern’s Social Triggers have page after page of content – which they wrote – about a topic they know inside and out. You might think you need this knowledge beforehand, but that’s not always the case. 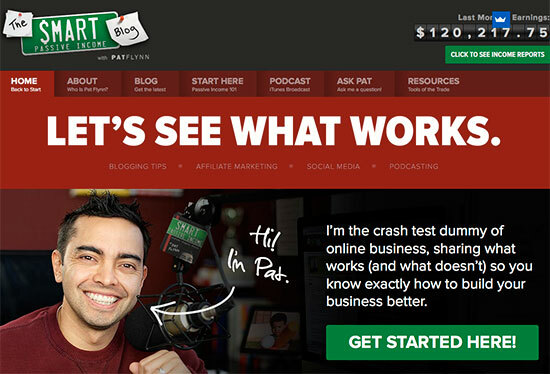 Pat Flynn of Smart Passive Income didn’t know anything about passive income when he first started his blog. He actually started his blog as a way to house notes he took while studying for the Leadership in Energy and Environmental Design (LEED) program. He became an expert in this niche and started experimenting with AdSense, which lead him down the road to generating passive income – another niche he eventually mastered. So, if you have a passion for something, or become interested in something you just stumbled into, you can learn as you go along and build up your authority on the fly. 3. Does my niche have revenue potential? Sometimes you’re too narrowly niched and there’s not a large enough audience – or you’ll struggle coming up with new and different content ideas. Other times, your niche is too broad, and you don’t have a loyal audience coming to your blog that you can market to. “Without a doubt, there are niches all over the spectrum in terms of profitability and difficulty of creating a profitable blog. So, if you want a profitable blog, you need to think about profitable niches. It’s true that with enough resources, time and a bit of luck, you can make some money in nearly any niche. But, why make life difficult when you can pick an easier, more profitable niche from the get-go. We all know things like lawyer’s fees, dental bills and health care is expensive, so it’s no surprise that niches in the legal, dental and medical fields are extremely profitable. Automotive insurance may be relatively cheap on a month-to-month basis, but to an insurance company, a customer who stays with them for many years – and buys additional insurance – could be worth many tens of thousands of dollars. Yes, insurance is another extremely profitable niche. There are many ways to validate profitable niches, but if you’re in doubt, one of the easiest ways is by researching the niche market’s keywords and industry trends with Google’s keyword and trends tools. In niches where the majority of the keywords have a a high cost per click (CPC), it shows advertisers are willing to spend a great deal of money to acquire a new customer or make a sale, and that usually means you’ve found a profitable niche. People start blogs for many different reasons, but eventually we all end up wanting to find ways to monetize our blog. Having a niche can help you form a plan, build credibility and grow an audience, making it easier to earn an income from blogging. With a strong passion, a deep knowledge about the topic and the potential for revenue, a niche should be easy to find. And when you’re ready, be sure to check out our guide to coming up with the perfect name for your blog. And our tutorial on building your first blog.